We welcome you in the different airports (Zaventem, Brussels South), stations with a personalized panel with your name (up to 6 persons with luggages). 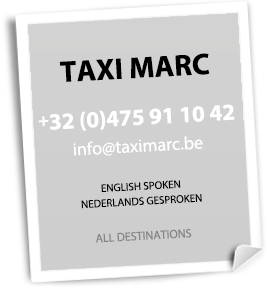 Possibility to hire vehicles with driver or Taxi/Limousine. Contact us for more information. Your animals are welcome on board. Please inform us at your reservation.